Amritsar Sahib (KP) – The issue of sacrilege of Gurbani is a global one, and details are emerging about several foreign based organizations who have engaged in the transportation of Guru Granth Sahib Ji’s Saroops in an unacceptable manner. In this latest scandal which is as severe as the Chattar Singh Jeevan Singh & Sons Publishers case in Amritsar, the Delhi Sikh Gurdwara Management Committee (DSGMC) is once again at loggerheads with it's Punjab equivalent, the Shiromani Gurdwara Parbandhak Committee (SGPC). Although the two organizations are supposed to be counterparts to each other, the hostility between them seems to be ever increasing. This time, the DSGMC is under a lot of pressure as recent breaking news exposed their plot of exporting 100 saroops of Guru Granth Sahib Ji to private retailers based in Canada and the United States. Although the SGPC has deliberately failed to take action in the case of Chattar Singh Jeevan Singh publishers, it is showing extraordinary interest in this case as the saroops happened to be printed by the DSGMC. According to them, DSGMC has committed an unpardonable act. An SGPC delegation found the saroops that were being transported to Canada stacked in a container. Furthermore, to add to the grief, the container has been awaiting shipment at the Jawaharlal Nehru Port in Mumbai for over one month. 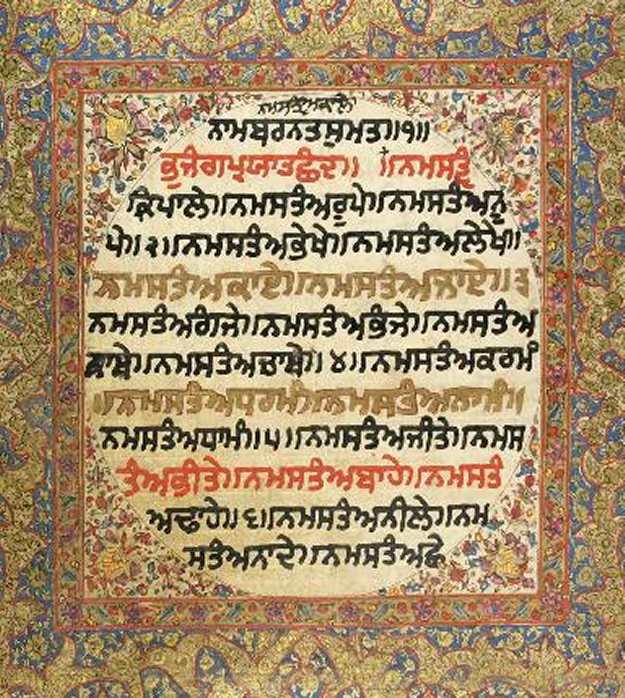 Besides the saroops of Guru Granth Sahib Ji, it was reported that the container also contained clothers for women and children along with hundreds of gutke, rumallay, kakkars and musical instruments. Jathedar Joginder Singh Vedanti has also acknowledged that the SGPC team had recovered the saroops and also assured that actions will be taken after all the details were submitted with the Akal Takht Sahib. In the past, Paramjit Sarna had offered to appear at Akal Takht but denied having exported any saroops in a container. He had previously alleged that the saroops published by the DSGMC press were sent to Hazoor Sahib. Although Sarna has shown regret over the matter so far, he has refused to comply with the Akal Takht Sahib directive of giving sole rights of publishing Guru Granth Sahib Ji’s saroops to the SGPC. Sarna stated that the DSGMC would continue printing saroops of Guru Granth Sahib despite any order of any authority. Sarna furthermore termed this idea of a ‘monopoly’ being blessed to the SGPC and held that this move will greatly hurt parchar of Gurbani. Furthermore, the DSGMC Chief also announced plans of opening printing facilities in different parts of the world, starting with England and Canada. These facilities will be provided with negatives from the DSGMC for error-free printing and they would work to provide saroops to different parts of the countries. In addition, Sarna announced that operation of a special bus will soon start which would ensure that saroops of Guru Granth Sahib Ji were being transported to different parts of the country with proper respect. Panthic Organizations however are not showing any sympathy towards Sarna. Although several plans are being made by him to promote respect of Guru Granth Sahib Ji, it is believed that the claims hold no weight and they are being made up by Sarna to save his face in this tense moment. If we had our own country, Khalsa Raj, we would have carrried Guru Granth Sahib in our special Khalistan Air Lines.